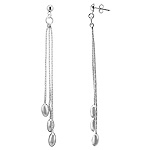 Sterling silver dangle earrings add a soft grace to anyone as their sparkling accentuates your every movement with that extra class. 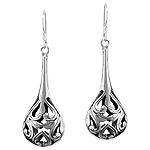 These gorgeous earrings are beautifully crafted in 925 sterling silver in a bead design. 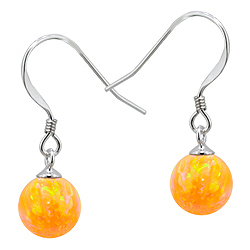 They are adorned with 8mm created opal yellow beads. 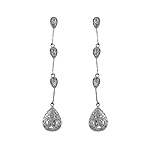 The earrings measure 1 and 1/16 inches (27 millimeters) in length (including fishhook) and 5/16 inches (8 millimeters) in width. 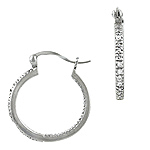 The earrings are finished with 925 silver fishhook backs with spiral accents. 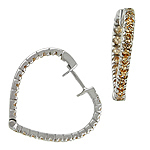 The high polish finish gives these earrings an exquisite shine that is sure to catch every eye. 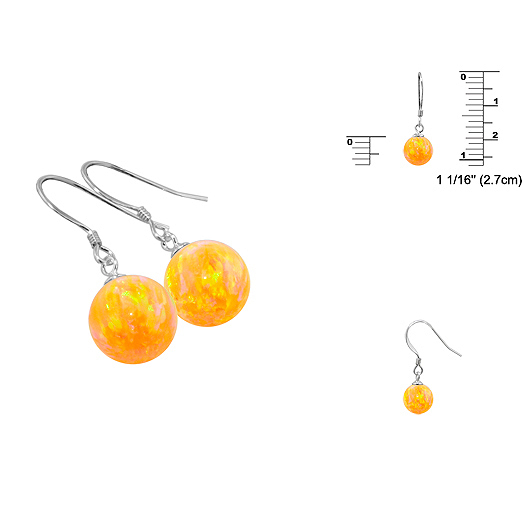 These earrings will highlight your beauty in a gentle yet powerful statement!